Alisa , Mini, Fang. 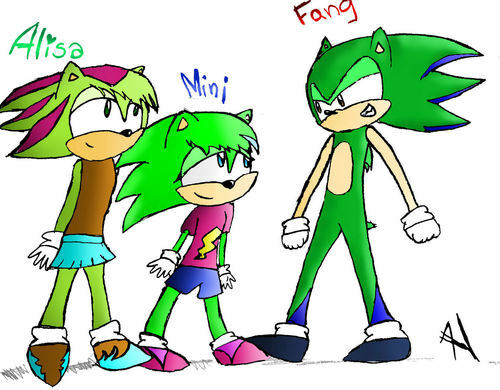 Left; Alisa, Middle; Mini, Right :Fang from Whole Multiverse. HD Wallpaper and background images in the Sonic girl Fan characters club tagged: hedgehog.